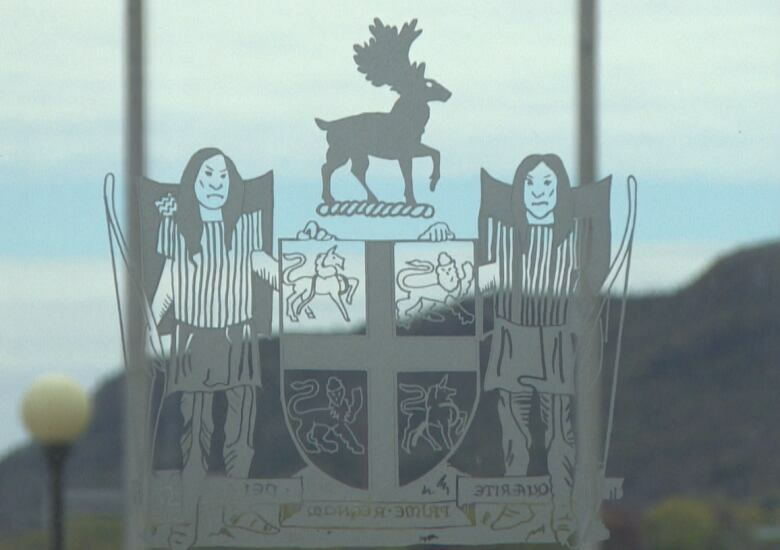 The Newfoundland and Labrador government is reviewing what some believe is an outdated symbol of the province, and one that offends Indigenous groups. Another archaic symbol of Canada's colonial past is under the microscope. 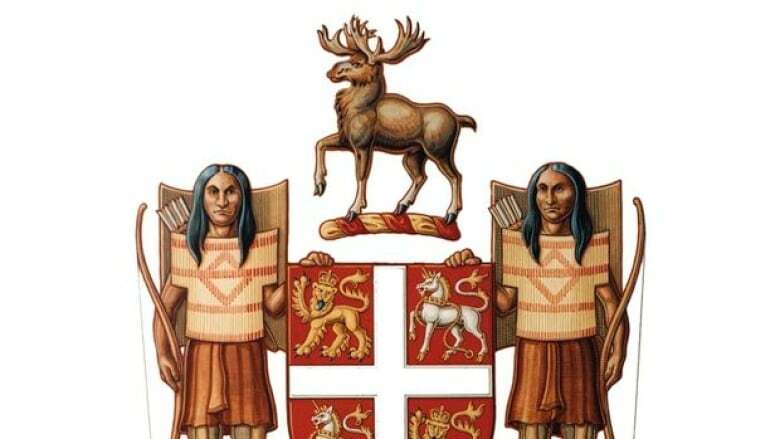 The Newfoundland and Labrador government confirmed this week it plans to redesign the province's 400-year-old coat of arms, which depicts two Indigenous warriors holding a red shield. At first glance, the stoic Beothuk figures seem innocent enough. But the official description of the pair, written in 1637, calls them "savages," a term that has prompted the province's Indigenous Peoples Commission to call for changes in the name of reconciliation. "It's not really appropriate," said commission president Stephen Green. Last weekend, Green persuaded the province's governing Liberal party to take the lead in redesigning the coat of arms, in a bid to "further the federal government's desire to redress the damages done by our colonial past." 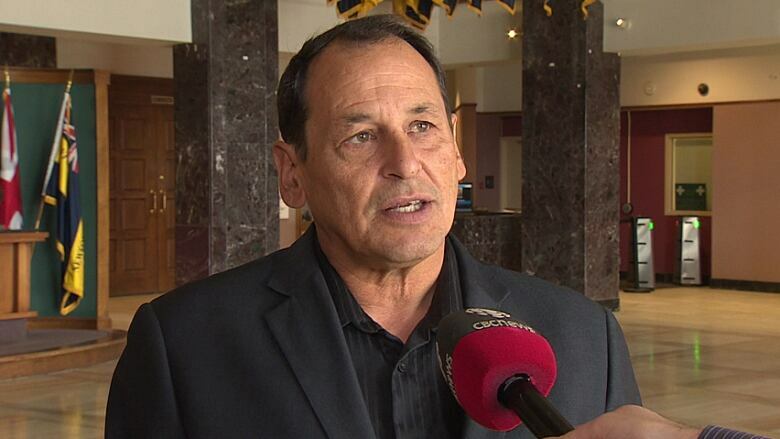 Randy Edmunds, an Inuk from Labrador who represents Torngat Mountains in the provincials legislature for the governing Liberals, said the term "savages" is offensive. "It was probably standard at the time — the noble savage," said Edmunds, parliamentary secretary for Indigenous Affairs. "That's an insult today. We've come a long way since then. We are proud and resilient people — we shouldn't be called savages anymore." from Indigenous groups, he said. community," Edmunds said. "It goes a long way towards truth and reconciliation." David Cvet, a director and former president of the Royal Heraldry Society of Canada, says the crude terminology should be put into a historical context. "When it was originally designed — and I'm not defending anybody — the term 'savages' was part of the culture of that time," said Cvet, who made it clear he was not speaking on behalf of the heraldry society. "'Savages' was a word to describe unknown peoples.… That was, at the time, a perfectly normal term to use." Still, Cvet says it would be reasonable to update the description using modern language, so long as the original 17th-century text is kept on file for reference. "It may not be palatable today, but it is still part of our history.… You don't want to start erasing history." As for the depictions of the Beothuk warriors, Cvet stressed that such images were not meant as macabre trophies or demeaning symbols of conquest. "It's more of a sign of respect to the culture," he said. "There's never been a case where the objects put on the arms were there to insult a culture or religious belief. They highlight aspects that were felt to be important, to reflect history." 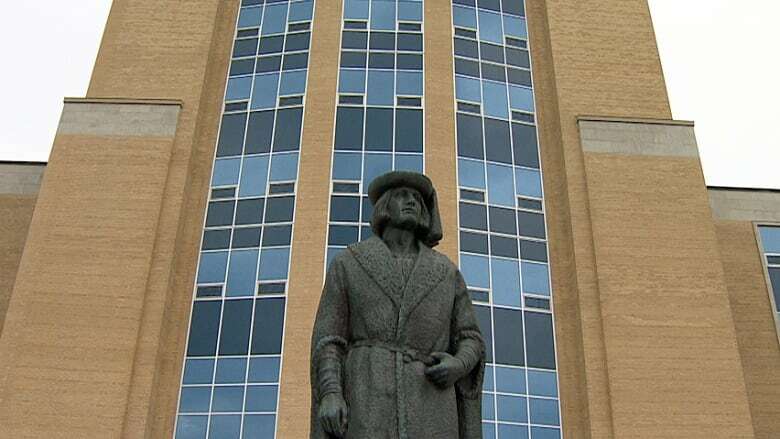 Edmunds said the Beothuk must be represented on the coat of arms to honour an Indigenous group that was wiped out after European settlers encroached on their land, resulting in deadly conflicts and the introduction of new diseases. Shawnadithit, the last known surviving Beothuk, died of tuberculosis in St. John's in June 1829. "We owe it to the Beothuk," said Edmunds. However, he said, other Indigenous groups should also be recognized, including the Mi'kmaq in Newfoundland and the Innu and Inuit in Labrador. Aside from the coarse description of the Beothuk, the coat of arms includes a depiction of a prancing elk, hovering between the two warriors. Though the elk may be a stately beast, such animals are not native to Newfoundland and Labrador. Edmunds said the elk should be replaced with a caribou, which can be found on the island and in Labrador. "There's never been an elk in this province," says Green, who also takes issue with the Latin motto at the bottom of the shield: "Quaerite Prime Regnum Dei," which means, "Seek ye first the kingdom of God." Green says the scroll should include a phrase that is more inclusive. Cvet agrees, noting the motto is rather vague. 21st century, change the motto — why not?" As for the elk, Cvet says one option would be to drop the animal in favour of a series of Indigenous symbols highlighting the Inuit, Innu and Mi'kmaq cultures. "You would have a new crest, while preserving the original look and feel of the arms.… The only limitation is one's creativity and imagination."